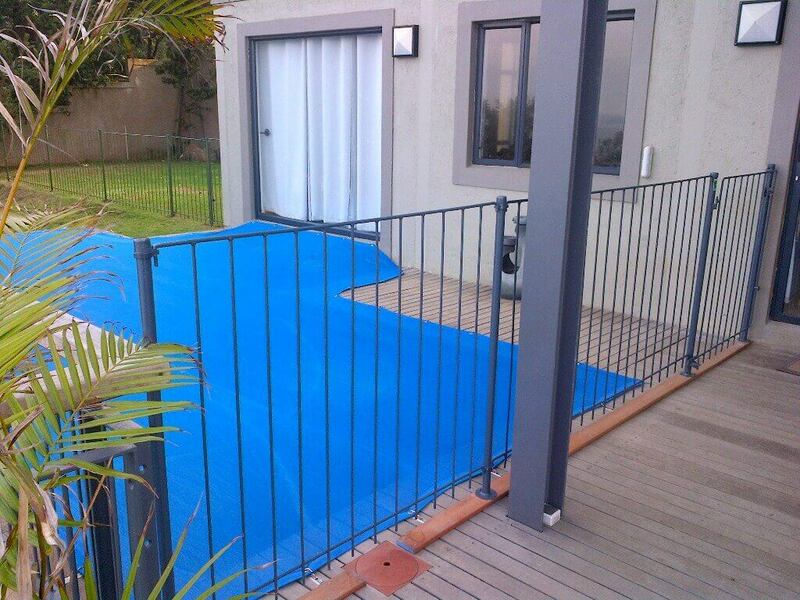 Since 1968 we have been providing pool and garden fencing throughout Kwa-Zulu Natal. Our customers have come to value the outstanding and efficient service we provide, and the pride we take in the quality of our workmanship. We are located in Pinetown, Durban and have Distribution Agents for our pool and garden fencing products in Johannesburg, Gauteng, Margate on the Kwa- Zulu Natal South Coast and Empangeni on the Kwa- Zulu Natal North Coast. We also supply fencing further north to the Pietermaritzburg area. 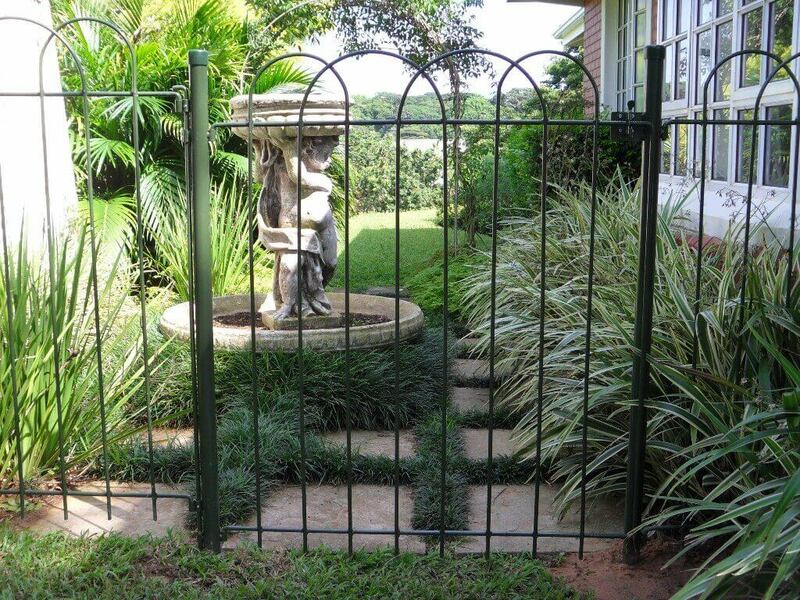 You can rely on Ferro- Art Pool and Garden Fencing to provide excellent service, high quality workmanship, and competitive prices. Also referred to as “Loop Over Loop” fencing and gives an appealing look around a pool surround or garden perimeter. It is manufactured in our standard colour of Green. The vertical 10mm round bars on this design give an unobstructed view at eye level and it is aesthetically pleasing around rectangular pools, keeping to the linear shapes of design. It is manufactured in our standard Green colour. The 1/2 doggie bar is suitable for the smaller type dog ie: Dachund. and has a reduced gap between verticals of 5cm. The full doggy bar is suitable for the above average size dog i.e Spaniel and is fully closed from top to bottom. 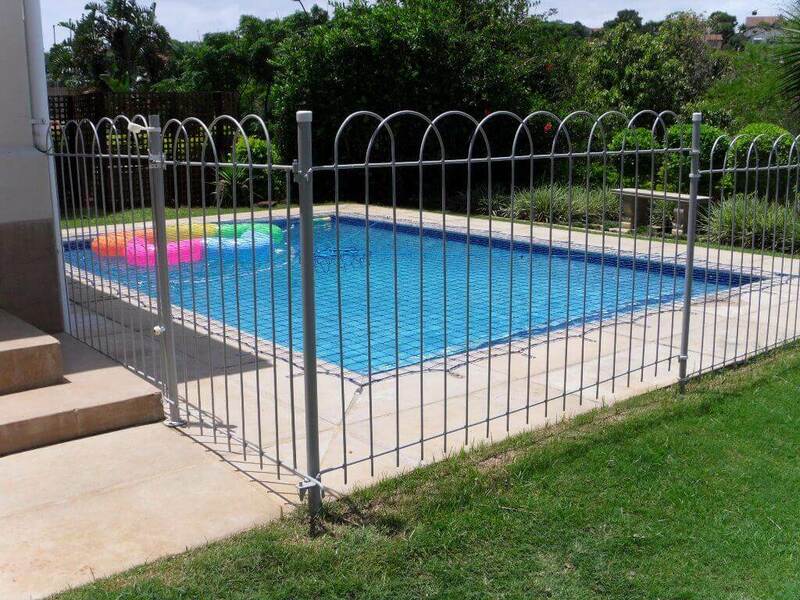 Ferro Art Pool and Garden Fencing has been a recognized name in the pool fencing and security industry for many years. 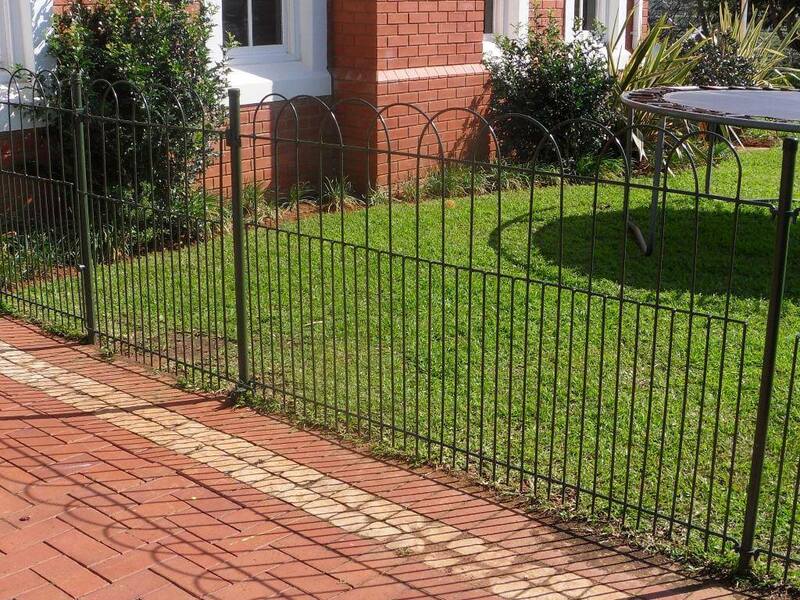 Our fencing products are specifically designed to ensure children safety, enclose garden areas and keep animal safely enclosed on your property. We are a proud member of The National Spa and Pool Institute. Our product can be self installed as a DIY project and our fencing material can be delivered by courier services to any destination in South Africa. Contact us for a free, no-obligation quotation.